A KOLTER waterfront project – preconstruction opportunity scheduled for occupancy in the Fall of 2018. Offering a refreshing new perspective. Rising 19 floors above the Atlantic Ocean and the Intracoastal Waterway, Kolter's iconic 5000 North Ocean luxury condos enjoy over 340 feet of direct South Florida oceanfront. Bold tropical modern design evokes a refreshing sense of style paired with seaside amenities and a host of private residential services. Inherent to its modern design, 5000 North Ocean amenities convey an atmosphere of stylistic expression from the oceanfront pool and oasis beach zone to the state-­‐of-­‐the-­‐ art fitness center and clubroom. 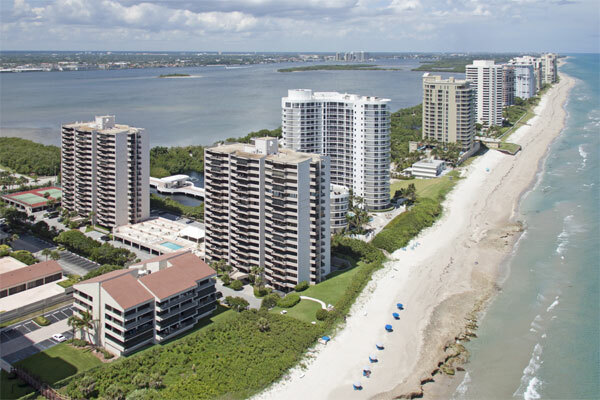 ~ Luxury three and four bedrooms Oceanfront residence tower featuring over 340 ft. of direct beachfront on 4 ½ acres of natural habitat and sandy dunes. ~ The designer kitchen features European style cabinetry, the latest storage systems & integrated LED lighting. Quartz countertop with full-­‐height backsplashes & large islands with waterfall edges. ~ Thermador appliance collection, with 30' refrigerator column & 18" freezer column & Ice Drawer, gourmet 5-­‐burner gas-­‐cooktop with 36" retractable stainless steel canopy hood, under-­‐counter microwave drawer and Wine Cooler & beverage Center. ~ Laundry Room with upper & lower European cabinets and large capacity Electrolux front load washer & dryer. ~ Ultra-­‐high speed connectivity for easy custom home automation.